"Brilliant. A haunting look at marriage and what it means to love someone." "Supremely intelligent and moving. 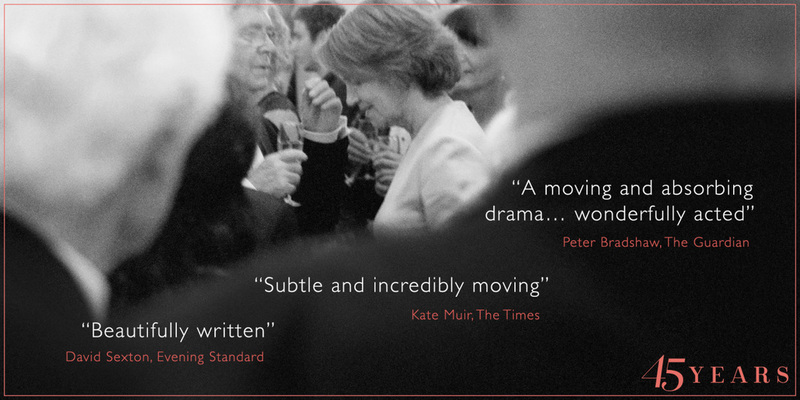 Rampling and Courtenay are superb." "Quietly explosive. Represents classic filmmaking at its best. A masterclass in understated acting." "45 Years" offers richly thought-provoking rewards for fans of adult cinema -- and a mesmerizing acting showcase for leads Charlotte Rampling and Tom Courtenay.